This style of shoulder armour corresponds with the pieces used from the end of the 14th century to the middle of the 15th century. The 15th Century Spaulders make an excellent option for LARP events and historical re-enactments. 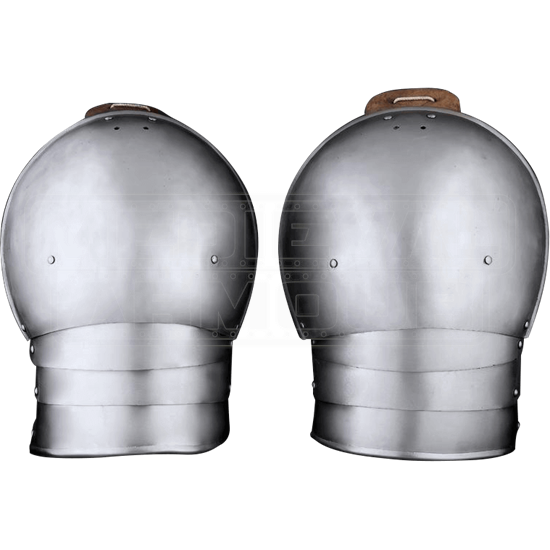 Upper leather straps with two extra holes on the upper border allow you to attach the steel spaulders to almost any gorget or an arming garment like a gambeson. When designing a medieval armour set, be sure to pick the right arm armour like these metal spaulders.